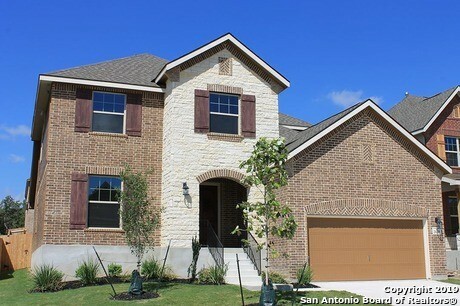 All HARPER OAKS homes currently listed for sale in San Antonio as of 04/20/2019 are shown below. You can change the search criteria at any time by pressing the 'Change Search' button below. "Cozy home in friendly community of Harper Oaks. Great location and Great schools. Vaulted ceilings, gourmet kitchen with kitchen island. Separate dinning room, SS appliances, including oversized cabinets, granite counter tops and tile floors throughout the house. Master bedroom retreat downstairs with bay windows, large bathroom with garden tub, walking in closet. BIG Gameroom with media center. Oversized backyard. Come see it now!"